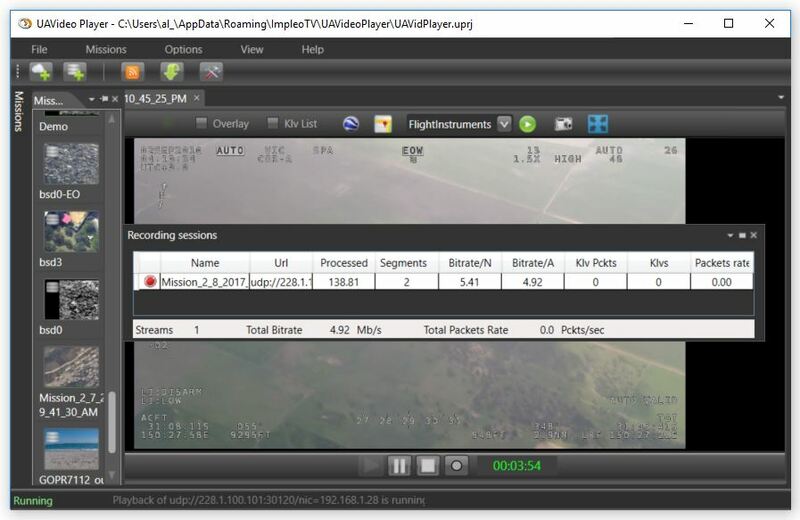 UAVideo Player™ is a cost effective standalone viewer for ISR imagery presentation and analysis. 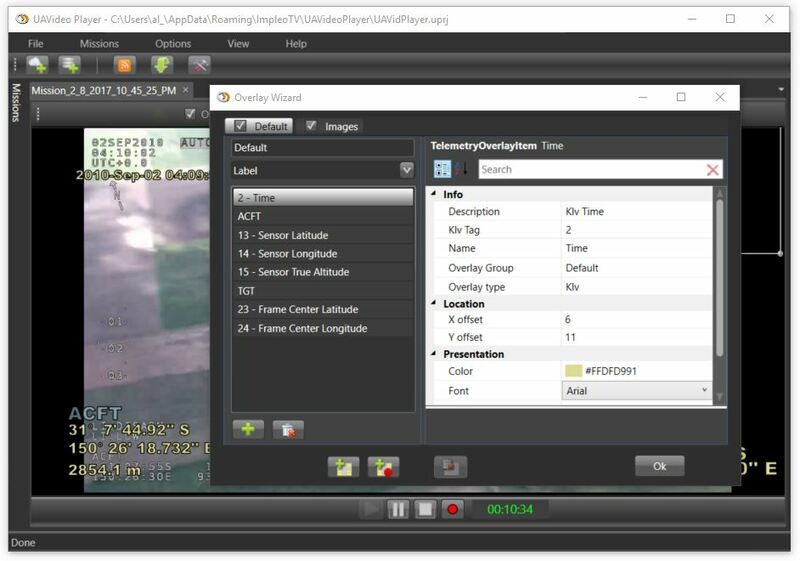 A FMV (Full Motion Video) stream player allows low latency playback of STANAG 4609 compliant live video feeds, offline files and On Demand FMV (from RTSP server) streams, multi-channel recording, 2D / 3D Situational Awareness, customizable metadata overlays, bookmarks, imagery snapshots, accurate file cutting, etc. Low latency playback of STANAG/MISB compliant FMV live streams. Multi-channel DVR for segmented recording. Configurable Telemetry overlays with multiple layers. MISB 0903 (VMTI - Video Moving Target Indicator and Track Metadata) support. 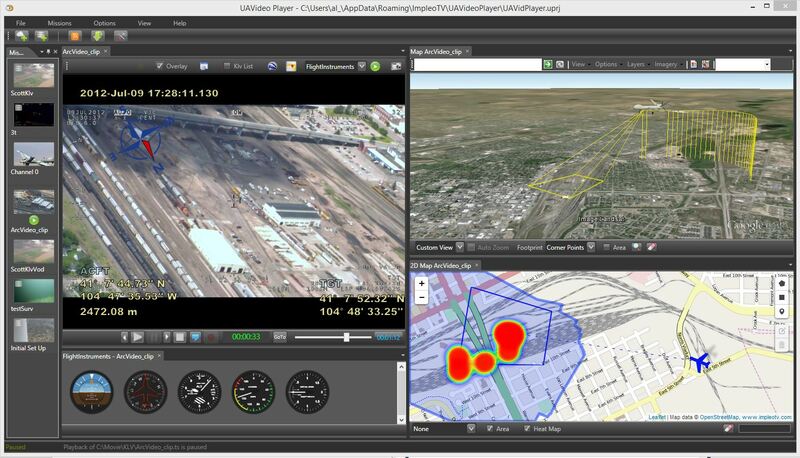 Situational awareness - 2D maps and 3D (Google Earth). UAV positioning, footprint, area, etc. Accurate file cutting (using bookmarks) and segment exporting. Total filmed area calculation and presentation. Extensible with user's developed plugins. STANAG 4609 compliant. MISB 0601.X UAS Datalink Local Metadata Set support. Please note, the Google Earth plugin has been deprecated and the Earth visualization is no longer available. Have a look at our new player - StPlayer with similar features.